Morbius the Living Vampire is preparing to start production by the end of the year and it has just been revealed that Martine Bancroft will be the female lead character in the film. It was recently announced that Jared Leto will be starring as the main character in Sony's next Spider-Man spin-off, and comic fans are ecstatic that Morbius' story is going to make it to the big screen. Daniel Espinosa is directing and other than that, Sony has been keeping a pretty tight lid on the project. 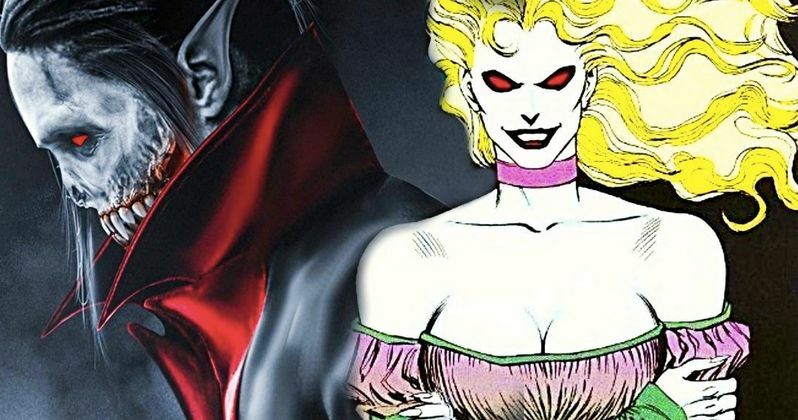 While Sony is doing a good job of not letting too much leak out about Morbius the Living Vampire, the Martine Bancroft news has found its way online. No actress has been announced, but according to a new report, Sony is currently seeking actresses to take on the role as Morbius' fiancé. Additionally, it's believed that Sony is looking for another male actor, possibly to play Emil Nikos. No actor has been announced, but it is believed that Rami Malek has been approached for the part. In the Morbius the Living Vampire comics, Martine Bancroft is his girlfriend and later fiancé. She is described as a wealthy socialite and a perfect match for the self-absorbed scientist Michael Morbius. She stays by the scientist's side after he accidentally transforms himself into a vampire, keeping his connections to the human world. However, after trying to figure out a cure for his condition, Morbius accidentally transforms Bancroft into a monstrous vampire as well. Her storyline has taken on many different elements over the years including the victim and the villain. It's not clear which version she will take on for the film. As for Emil Nikos, he is Michael Morbius' partner in the lab and ends up as his first victim after the transformation. The Nikos role in Morbius the Living Vampire could end up as a pretty big role in the movie, setting up the transformation and the after effects. This is all speculation at this point, as the Nikos role is very much a rumor at this point in time. However, it would make sense to see this part of the Morbius origin story come to life on the big screen. There currently is no official release date set for Morbius the Living Vampire. However, if the reports about production starting later this year are true, we could end up seeing the film by the end of 2020. As for Sony's first Spider-Man spin-off, Venom, that project hits theaters this fall and stars Tom Hardy as Eddie Brock. While the response was muted at first, the latest bits of promotional material have really ramped up the hype for the film, which is in turn setting up Morbius the Living Vampire for some hype as well. You can read more about Morbius the Living Vampire and the addition of Martine Bancroft over at That Hashtag Show.